Classic Rawlings Personalized Leather Baseball and Acrylic Case. 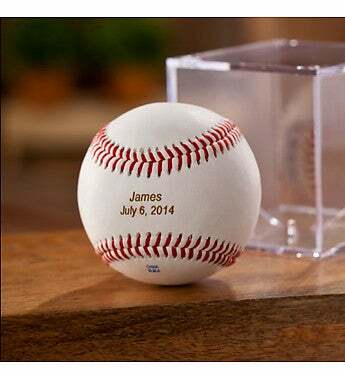 Perfect for the MLB enthusist, to commemorate a great win or to celebrate with as a wedding party gift. Display Case Measures: 3 1/4" X 3 1/4"